In India various types of offences have been punished in different ways from time to time, depending on their nature and intensity. It was a firm belief of India legists that if punishment is not meted out, it leads to political chaos and internal disorder. In early days even for trivial offences deterrent or barbarous penalties were prescribed. If any woman employed in the state-weaving establishment, after receiving her wages, failed to produce the work assigned to her, her fingers were to be cut off. Megasthenes observed that if astrologers gave false or incorrect forecasts they were condemned to permanent silence. Public nuisance on the road was not tolerated. Whoever threw dirt on the streets was fined a hefty sum. A similar amount was levied if anyone was responsible for the collection of water on the roads. Public soliciting was not left out of the clutches of the law. If a man and a woman made signs to each other on a road with a view to sexual enjoyment or carried on a conversation secretly then both of them were fined. Treason and defamation of the State were penalized. If a married person became a traitor to his king, his wife was authorized to leave him. Defamation of one's own nation or village implied a fine. Powerful nobles, who have become traitors, were ordered to be impaled alive on a wooden stake thrust into their stomachs. An equally monstrous infliction was the trampling of a victim under the feet of elephants. This practice became rampant in the Muslim courts and was also indulged in by the Marathas in the 17th century. In the Buddhist texts like the Milinda Panho belonging to the second century AD, mention is made of some strange tortures. But we do not know that whether they were carried out then, but one or two cases of such practices can be traced to recent times. In the "Kettle of Gruel" torture, in a pot of gruel an offender's skull was to be cut open and with a pair of tongs, a heated iron ball was thrown into it. Thereby the brains were allowed to boil. The "Sea-shell tonsure" implied an incision first made through the skin beginning on either side of the upper lip and continued by the roots of the ears and then round the neck. All the hair was drawn together by a stick until it had raised the scalp. Then the dome of the skull was rubbed with coarse gravel and washed to get the shape of a polished seashell. The "Rahu mouth" was another type of torture. The offender's mouth was kept open by means of a peg and burnt inside it. The teeth were scooped out so that blood gushed out and filled the mouth. In the "Wreath of Flame", the entire body was enveloped in cloth, which had been doused with oil and then it was set on fire. There was another punishment called the "Blades of Grass". In it the skin from the neck was cut downwards in blade-like strips, which were allowed to droop down. Then they put a halter on the man and dragged him forward so that he stumbled and fell over the Blade-like strips of his own skin. Another unparalleled torture went by the name of "Black antelope". The points of four iron stakes were driven through the two elbows and two knees so that the man remained pinned to the ground by means of those iron stakes. A fire was burnt round the victim, the stakes were removed from time to time and the unfortunate sufferer was set on his protruding bones. In the "Hook meat", the offender was struck with double hooks, which tore away the skin, flesh and tendons. The "Penny-bit Torture" implied that from the top of the man's body, bits of his skin, of the size of a paisa, were cut by means of a sharp razor and then allowed to fall on the ground. In the "Straw bolster" a skilful executioner, without cutting through he skin, broke a victim's bones by means of small millstones so that when the hair lifted him up, he was a hanging lump of flesh. Then he was wound round and round with his hair and disposed off in a coil-like straw pad. Inspite of all these severe and barbarous punishments some exemptions were made on the basis of castes without any social upheavals. For example, the Brahmins who are generally exempt from any type of tortures were not allowed to go scot-free. If a Brahmin committed theft or raped his teacher's wife or drank liquor, which were all prohibited, he was branded with the emblems of a dog's foot, a headless corpse and the feminine organ. Some punishments under the Muslims also merit attention. Allauddin Khilji who ascended the throne in 1296 AD, was a sadistic administrator and he invented some strange modes of punishments. He prohibited wine-drinking and wine distilling and the offenders were seriously punished. Holes were dug outside the Badaun Gate and the winebibbers and wine sellers were placed in the holes. The severity of the confinement was such that many of them died, many others were taken out half-dead and it was long before they recovered their health and strength. The Muslim chronicler Khafi Khan observes that the punishment by the thong or what the Muslims called the "Tashma" was invented around 1712. It is also mentioned in the Buddhist work Milinda Panho belonging to the second century. Babar had some of the Afghan soldiers who were captured by his own troops brought to him with ropes around their necks and this is mentioned as Tashma. In the 17th century, the tashma came into great notoriety. As men were subjected to this punishment of the thong, without ascertaining the facts or proof of the offence, a terror seized the hearts of the nobles during the reign of Aurangazeb (1659-1707) and Bahadur Shah (1707-12). The thong continued to stay in the 18th century as well. The practice of ear and nose mutilation was possibly introduced in India by its Turko-Mongol invaders. The mutilation of noses and ears has been known in India among the Hindus and Buddhists since ancient times. In the Ramayana, it is well-known that Rama's brother Lakshmana, when confronted by the female demon Shrupanakka, who dared to make love to him, cut off her nose to spite her and not to kill her. According to the ancient legist Kautilya, when any person stole a large animal, abetted a thief or an adulterer, the noses and ears of such an offender was cut off. He has also clearly specified that women were not spared in meting out this infliction. This practice was also known among the Buddhists in early times. The punishment of cutting one's ears and nose has been mentioned by Buddha Ghosa (4th century) in his work Dhammapada Athakata. He relates how a husband committed fornication with a woman-servant in his house. His wife bound that guilty servant's hand and foot and cut off her nose and ears. This practice continued for many centuries and became very notorious. In the Mysore region, nose and ear cutting became a real specialty. The Italian traveler and surgeon Manucci (1653-1708 AD) had heard that the inhabitants of Mysore were very active that when horsemen were passing through their forests, they would come out of them rapidly and placing their hands on their horses' quarters, spring up from behind and cut off the Mughal enemy riders' noses! They managed to do this dexterously with an instrument, which resembled a sort of half-moon of iron, which they invariably carried. By such feats they stuck terror among the Mughal army. In the 18th century, especially in Mysore, this barbaric practice continued, during the reign of Hyder Ali. The soldiers of Hyder carried away all noses and upper lips of their enemies to the "Naik of Mysore" who rewarded them according to the number! The Hindu rulers of My sore and also the Sikhs of Punjab also followed this custom. Nose and ear mutilation played an important role in religion. According to the Muslim writer, Muhammad Rufi, to the south of Chennapatna (Madras) there was kingdom, which was ruled by one Kanti Ram. There was an ancient temple to whose idols the most acceptable offering was a present of noses. This atrocious custom of which we hear today occasionally is reported at many places. Mostly women are vulnerable to this when they are suspected of infidelity. Strange types of money have been current in India and elsewhere from time immemorial. They were not confined to one kind of people or one religion or one period but were noted from time to time in different contexts by various persons. Among such cases of money may be noted some specimens of stones, shells, pearls, leather, paper and varieties of metals. In the early stages of society certain types of stones were apparently utilized as media of exchange. At Mohenjadaro certain types of ring coins with a diameter varying from half an inch to four feet were found. They may have been used as stone wheel money. Shells of various types were used as certain types of money. The Chinese pilgrim Fahien, who visited India in the 5th century mentions the use of cowrie shells as currency and Hieun Tsang in 739 AD has written about the use of pearls as coins. This practice of using cowrie shells continued till the 18th century. In Kashmir it was the unit of currency and one rupee was worth 4096 cowries then. These shells were not found in any other part of the world except the Maldives and the ruler of that country exported these shells to the Great Mughals, Bijapur, Golconda and even the American Islands. In the 17th century another strange type of money was the bitter almond. In 1689 bitter almonds passed as money in Surat. About sixty of them made one pice. Cattle as a medium of money have been known in India since primitive times. The cow's tail or a part of it called the GO-PUCHCHHA seems to have passed off as a coin. In India in the 13th century in the Yadava kingdom the concept of leather currency appears to have been known. If a king were to impress his royal stamp on a piece of leather, it may pass of as a current coin. The eccentric monarch Muhammad Tughlaq (1325-1350 AD), introduced leather currency in India but like many of his other monetary reforms it did not succeed. Different types of metals have been used as coins. In India the Pada, Pinda and pieces of metal sheets seem to have passed off as money. The use of copper for making coins has been known in India from early times. Jahangir, the Mughal emperor introduced in 1618 a change in the types of his coinage. Formerly the custom was to strike the emperor's name on one side of the coin and those of the place, the month and the year of the ruler's reign on the reverse. He introduced Zodiac signs on the faces of the coins. Paper currency, which is now familiar to us, seems to have been a novelty in the 14th century. Then it was in vogue only in China. The Chinese melted all the metal coins coming into their country into ingots and used only paper currency, which gradually penetrated, into our country. One of the peculiar customs of punishing offenders in India was by throwing them under the feet of elephants. This practice seems to have really originated in South India. Its existence can be traced in early Sanskrit and Pali literature. In the Shrimad Bhagavata, death by means of elephants has been mentioned when dealing with the early life Shri Krishna, the greatest of the Yadavas. The demon Kamsa had employed an elephant called Kuvalayapida to kill the young Krishna but he failed to achieve the objective. In the same period this type of execution has been mentioned in the Cillahamsa Jataka. It tells that the mighty elephant Nilagiri was specially deployed by the wicked Devadatta to kill the venerable Ananda. It was made to do it after heavy intoxication. Devadatta gave it sixteen pots of liquor instead of its usual quota of eight. But it pursued an unwary lady who was carrying a child in her hand. On seeing the beast, coming towards her, she dropped the child and ran for her safety. The Buddha, who came that way, tamed that elephant and it did not harm the child. This cruel practice continued under the Tughlaks around 14th century. 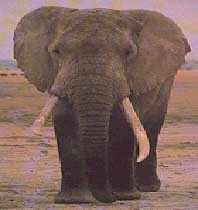 Elephant drivers rode those animals and when a victim was thrown before them, they would toss him up and then catch him with their tusks and throw him between forefeet while he lies on his breasts. They would either leave the person alone or tear him to pieces by means of irons fixed, according to orders of the Mahout as dictated by the Sultan. This type of punishment was in vogue in Gujarat in the 15th century. Ahmad Shah (1433-41) during his reign executed several rebels who had unfortunately fallen into his hands by casting them under the feet of elephants. This also continued in the Vijayanagara Empire between the 15th and 17th centuries. The emperors of this kingdom ordered criminals to be cast down before the feet of an elephant so that its knees, trunk or tusks may kill them. This practice continued during the reign of Krishnadevaraya, The Great, (1509-30) for among the sculptures of his reign, there is a fine one depicting this kind of a punishment, in Hampi. The Muslim Sultans of Bijapur and Golconda also followed this wicked practice. In 1557, at Bijapur, the, Ibrahim Adil Shah, indulged into heavy drinking and relations with woman of low character. This afflicted him to many disorders, which many of his doctors could not cure. So he beheaded some and ordered others to be trodden on by elephants, that many of the medical practitioners in the country fled to other areas. The Mughals adopted this nefarious act for their own convenience. Emperor Jahangir took a sadistic delight in witnessing such barbarous executions. In the 17th century the Marathas followed this usage. The emperor Santaji Ghorpade (1764-94) has a weakness for this fatal punishment and, for the slightest error; he would order an offender to be crushed under the feet of an elephant. Even in the 18th century this disgusting type of punishment was adopted by Tipu to suppress a revolt at Seringapatnam. He barbarously punished the conspirators. Many of the prisoners were impaled and the English prisoners dragged to death by means of elephants or hanged after having their ears and noses cut off! Flaying alive was a practice known in India from the hoary past. It is recorded in Indian mythology, Indian history and Buddhist literature. It appears rather fictitious but its authenticity cannot be doubted. In the Mahabharata, this practice is well known. Yudhisthtira's asvemedha horse was moving from place to place and any one who is capable of bringing it under control should go for a fight. Sudhanvan's father controlled it and he sought the help of his son for the combat. But Sudhanvan was playing with his wife and did not go for his father's rescue. So his father ordered him to be thrown into a cauldron of boiling oil. But since he was a great devotee he came out unscathed. This usage is clearly specified in the Pali literature. It can also traced in the Mahavamso, assigned to the 4th century. It also appears in the Rasavahini, a collection of folk-tales of the times of Emperor Asoka. This also finds its place in the Buddhist Milinda Panho belonging to the 2nd century. This practice of flaying men alive into cauldrons of boiling oil was not confined to the Hindus and the Buddhists but was also faithfully adopted by the Muslims as well.